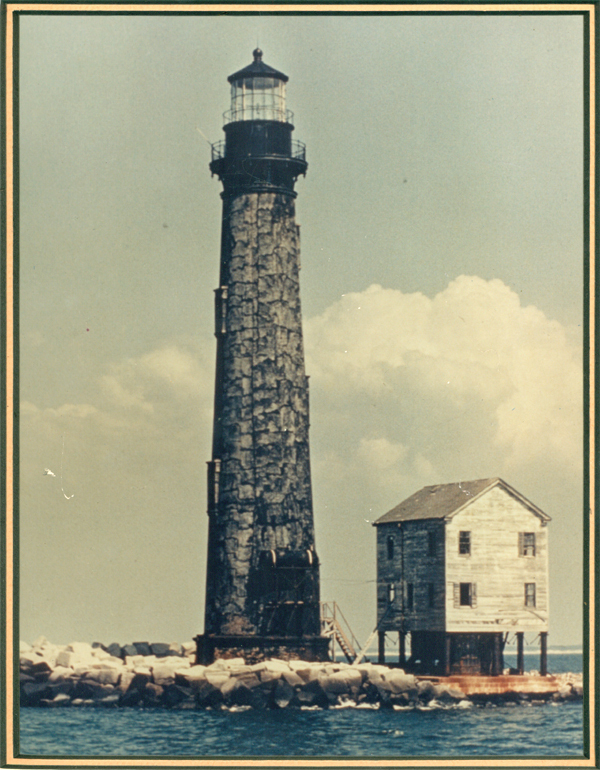 Sand Island Light House in the late 1960's. Color photo taken by Mr. Nick Colquit, of Dauphin Island, AL. Note the black tar coating on the tower. The last application was in 1965.